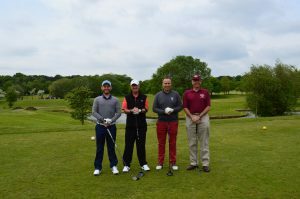 Located in beautiful West Sussex, join us on May 15th for a fantastic day of golf with friends, food, and prizes at Singing Hills Golf Course. Whether you are a Golf pro or still a beginner, Golfers of all abilities are welcome to join the fun! The full price for the day is £68.00 per person and you can register individually or as a team. 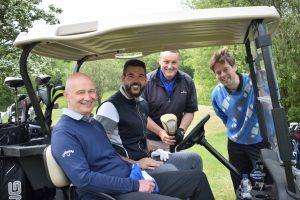 The day includes 18 holes of four-ball golf, plus bacon rolls on arrival and a two-course carvery dinner. Tickets are now available! Purchase your places today through this web page, or you can call Kim at the International Needs UK Office on 01883 331332 for any questions or to make a booking. When you have registered yourself, or your four ball, full details will be sent to you. The day starts with registration at 10:00 am. This is followed by bacon rolls and coffee in the clubhouse whilst you wait for your tee-off time. Tee off is from 11:00 am. After a day of four-ball golf (with some on-course competitions along the way), we will have a two-course carvery dinner along with a charity auction and prize giving. We will also hear about one of our newest programmes; RUSH Academy in Western Kenya. All proceeds from the day will be used in support of this project. Click here if you would like to find out more about RUSH Academy. The day will finish around 9pm.